If you read camera websites long enough, you’ll come across examples of the “why I switched to [insert a brand here]” article genre, and generally the pieces are less than compelling. Does it really matter that an event photographer in Sheboygan changed camera brands? 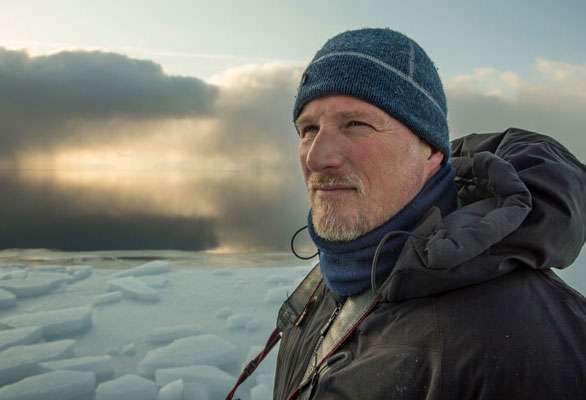 Today, I stopped and took notice because world-famous National Geographic shooter Paul Nicklen switched to Sony. Famously Canon-shootin Paul Nicklen made the eye-popping, head turning announcement that he’s officially going Sony in his newsletter, and is joining the Artisan program (along with several other amazing photographers). This isn’t just a photographer that switched, this is a world-class photographer putting his reputation behind Sony—the first time he’s specifically supported a camera brand. I’ve made the decision to switch from my DSLR system to a Sony mirrorless system because I’ve realized mirrorless is the future of our industry and Sony is leading the charge. Here’s a link to Paul”s Newsletter. Paul Nicklen switched to Sony. You might known Nicklen from his humorous story of photographing a Leopard Seal in the water in Antarctica, where the massive, curious female seal kept trying to feed him penguins, and her confusion when Nicklen wouldn’t eat them. Or you might know his not-for-profit Sea Legacy, which is working hard to clean up the world’s oceans, where his photography is helping make the world a better place. Nicklen has won more than 30 of the biggest photography awards, including BBC Wildlife Photographer of the Year and the World Press Photojournalism award. Early on in my career, most people at National Geographic shot Nikon, the prosumer camera of choice, especially in the film days. I excitedly moved to Canon in the early 2000s as they seemed to be the frontrunner in the digital space, but I never wanted to lock into a relationship with a major camera company because I didn’t want to be held to any one system. I’m a journalist and an artist, and I want to shoot with the best of the best and the latest and the greatest. After all, it’s really about getting the shot—a shot that will live on forever. And in my case, to tell an important story that has enough impact to create change for our planet. For his less-technical followers, he explains the advantages of mirrorless photography, and—as a wildlife photographer—the specific benefits of things like silent-shooting. 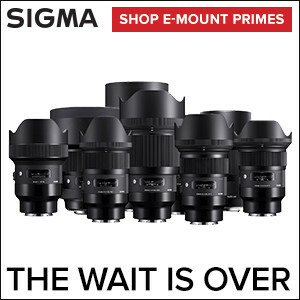 And what about the Canon shooters out there, those who are heavily invested in their system, who are faced with the fact that Sony’s “leading the charge” and that Canon is—according to their interview with DPReview only now starting to develop sensors optimized for mirrorless photography? Nicklen addresses them as well. Nicklen isn’t the only major hitter added to Sony’s Artisan program. Sony also announced today that the Artisan program will now include adventure filmmaker Taylor Rees, legendary photojournalist David Burnett, sports photographer Jean Fruth, and photojournalist/author/educator Nancy Borowick. You can read Paul Nicklen’s full newsletter post below (which includes his gear list), you can subscribe to his newsletter on his site and you can find out more about the new Artisans at AlphaUniverse.